This flared kurta from the house of Varanga can make everything stylish. 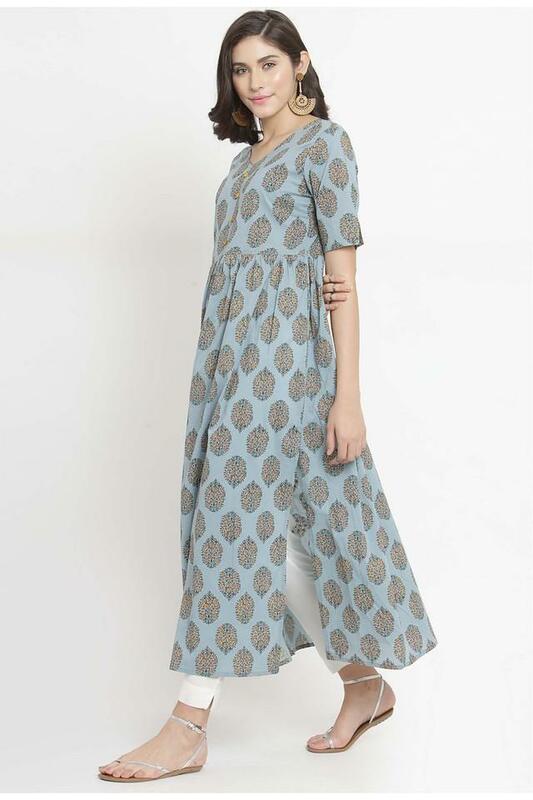 The kurta has a printed pattern, thus lending it a chic appeal. Further, the V-neck and half sleeves add to the overall appeal. Above all, the use of cotton fabric ensures that you stay comfortable all through the day. Display your true elegant side in this charming kurta. Team this kurta with pair of leggings and sandals.